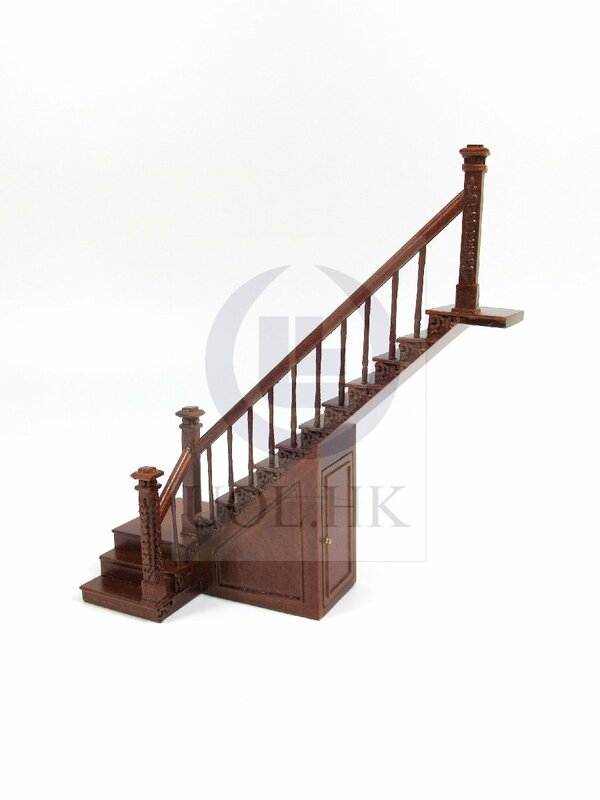 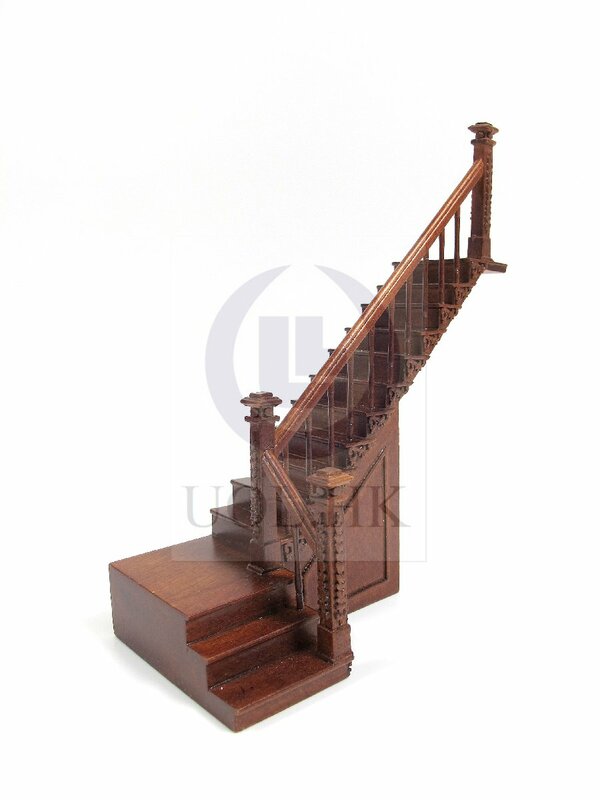 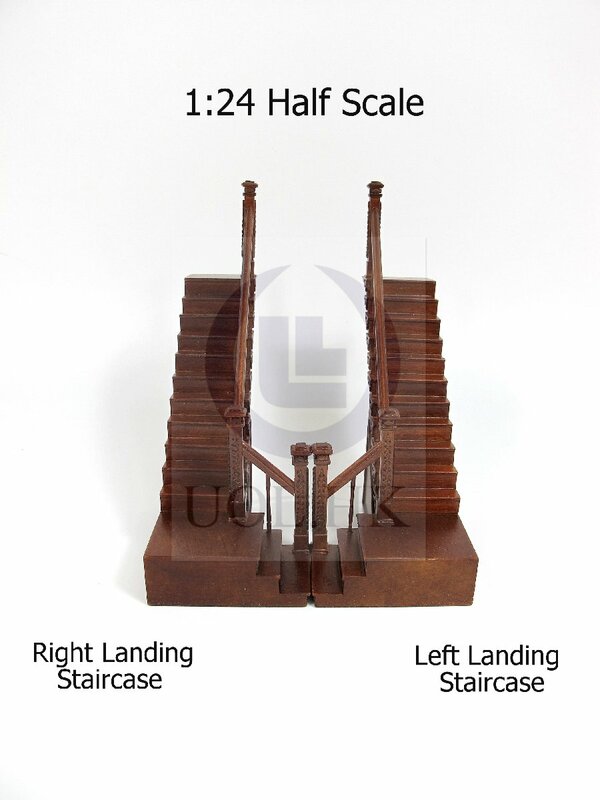 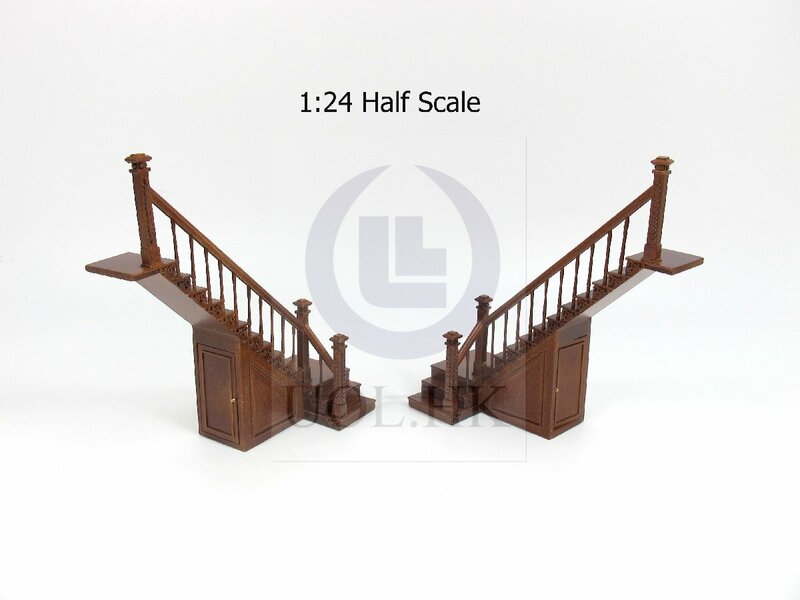 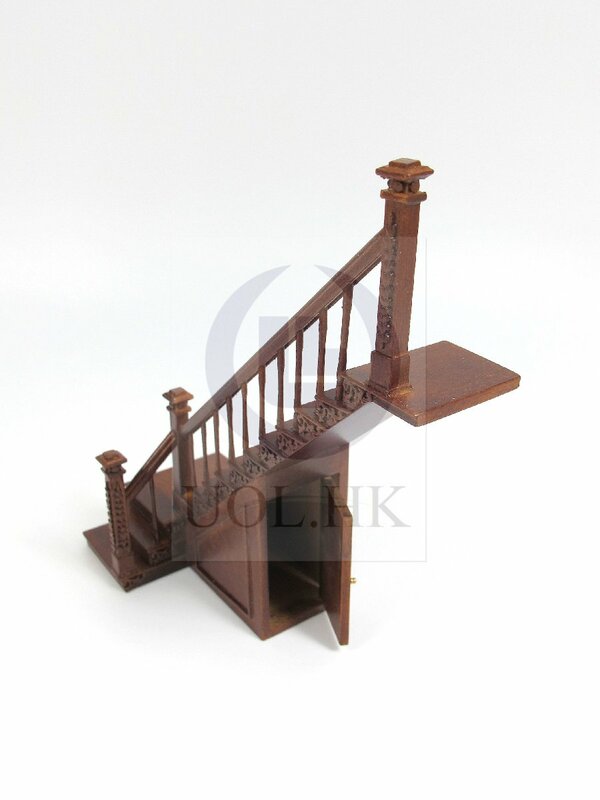 This 1:24 half scale hand carved right landing staircase made of wood .Finished in walnut. 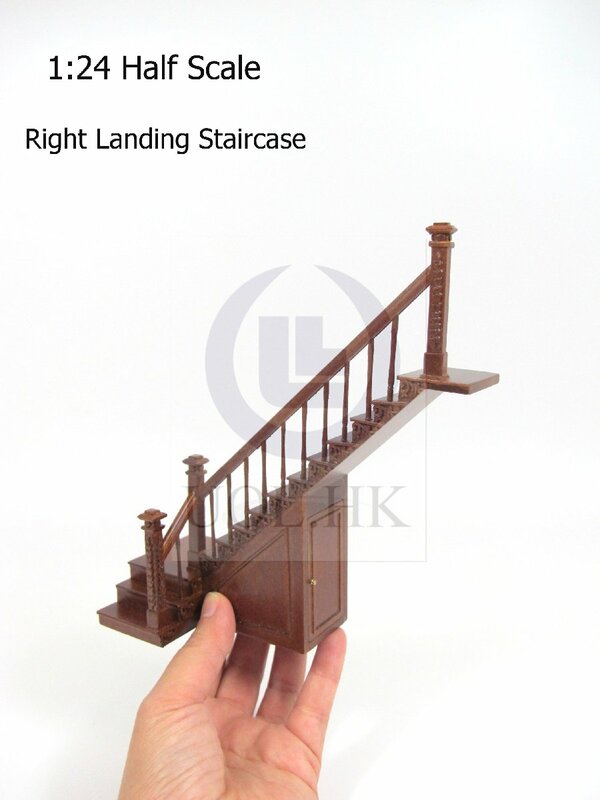 A stock area under staircase. 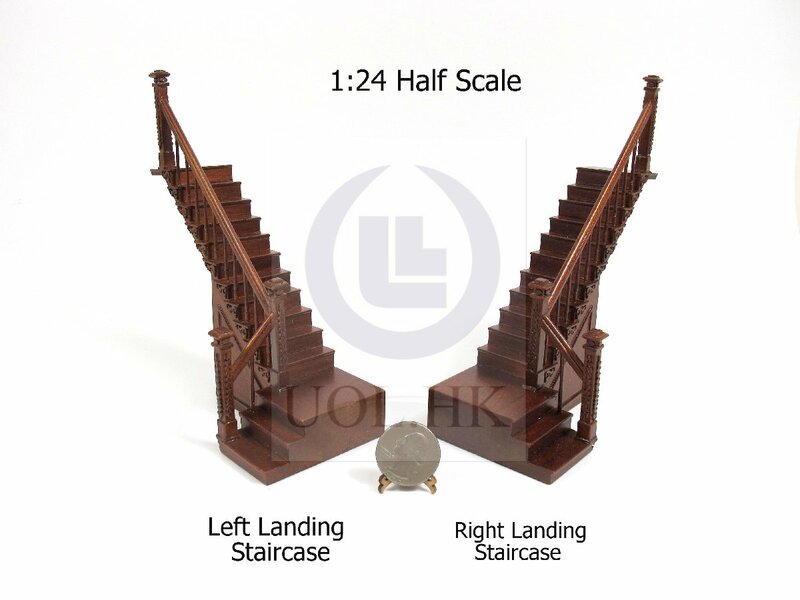 Staircase is 4 1/4" inches high for top step to the base. 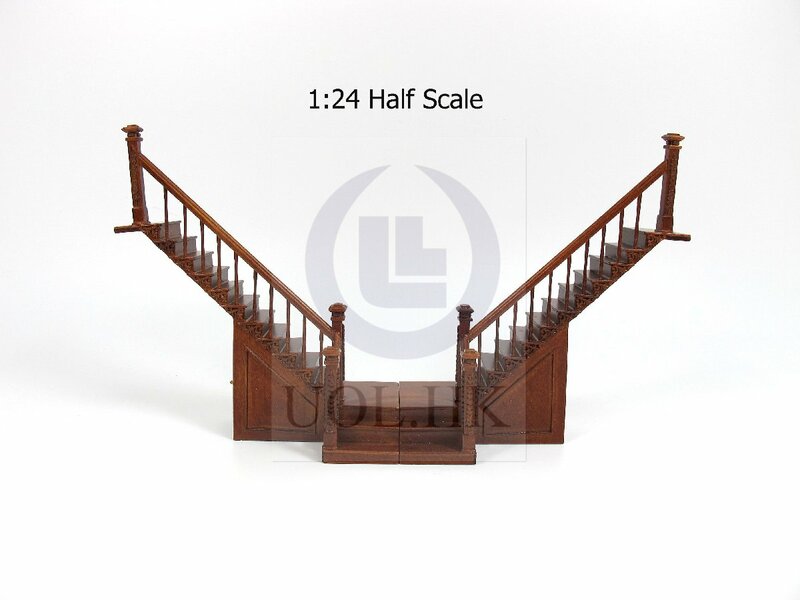 Post is 1 & 7/8"inches high. 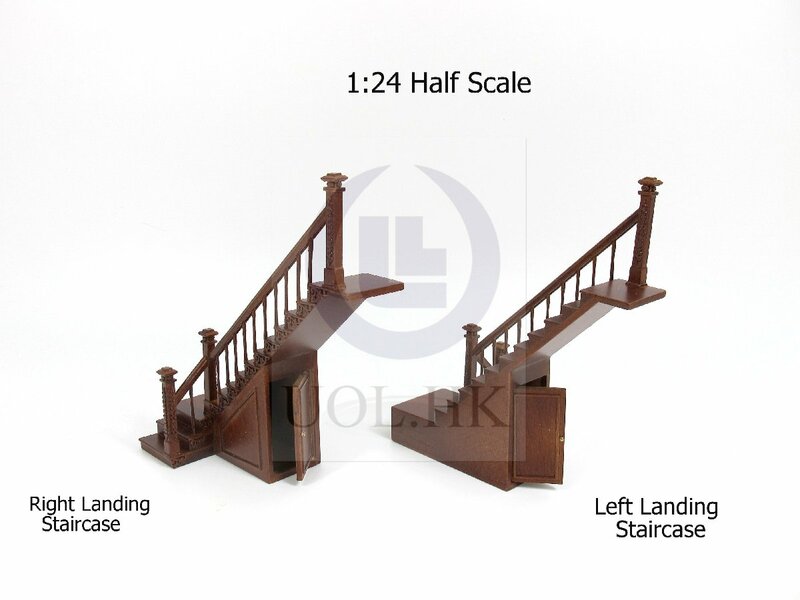 Follow pictures for reference only.Items sold separately.